Nauyaca Waterfalls is perhaps one of the most Beautiful and Breathtaking places to see in all of Costa Rica. The Nauyaca Waterfalls is only a 50 minute drive from the area of Manuel Antonio. If you have a Rent a Car make sure its a 4×4 as the road is a little rough but manageable. When you get there you can hike to the Waterfall which will take you about 40 minutes. There is also an option to book a horse ride to the Waterfall. 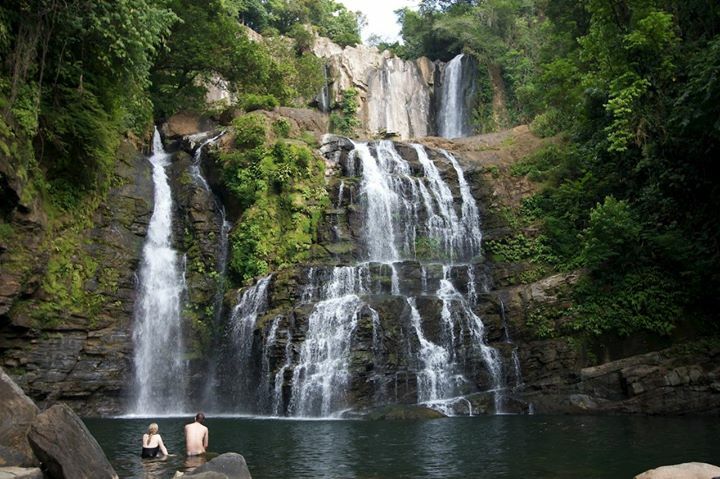 The Nauyaca Waterfalls is located in Baru, Dominical. The entrance to the waterfall is $15 per person. When you get to the waterfall you have the option of walking to the waterfall which is a 5 kilometer hike or you can use their 4×4 service car that take you all the way to the waterfall and it is $30 per person.